Cute kids fight to the death and slit each other's throats for the amusement of post-apocalyptic America in this dystopic epic starring Jennifer Lawrence, based on the uberpopular young adult book by Suzanne Collins. Mostly shot in verdant forest (cheap to shoot but spectacular), it's like happy-time-summer-camp movie meets Death Match. Kids can relate to competing for position, and feeling helpless in a mad world run by manipulative adult hypocrites. It's emotional truth over rational perspective, but it resonates. The twist, and every film ending these days worth it's salt seems to have one, is actually pretty good. 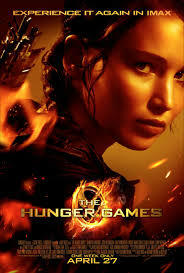 Enjoyable and primal, Hunger Games may be too intense for smaller younglings. Aardman's first film since Wallace & Gromit: The Curse of the Were-Rabbit, it starts with promise but never delivers. So visually scrumptious you can serve it as a dessert, it lacks both heart and conviction. A real shame, given the craft behind it. The jokes are limp and the film drags. 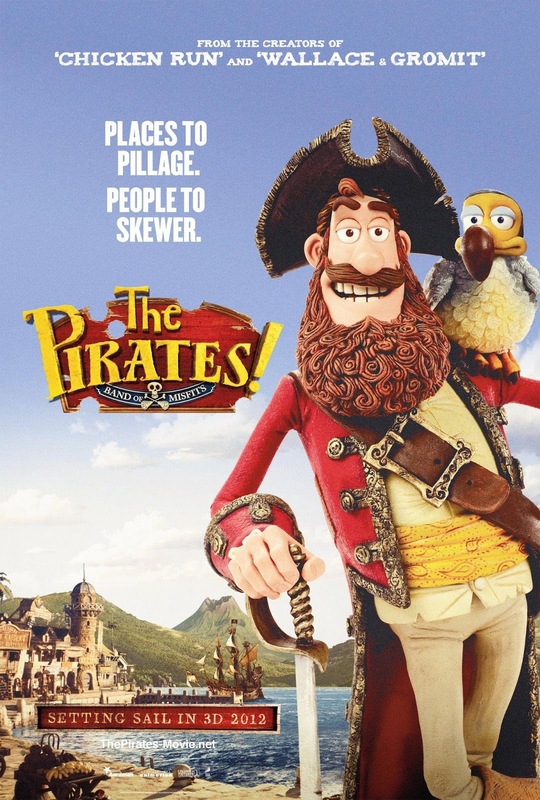 Completely inoffensive, Pirates is torpedoed by its own good natured blandness. Even the voice acting of Brian Blessed can't save it. After the cataclysmic cinema disaster that was MIB II, no one expected anything from this effort, but MIB III delivers in spades. It even has heart. 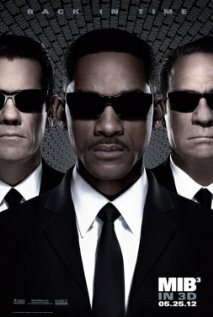 Barry Sonnenfeld unexpectedly returns as director, and Will Smith and Tommy Lee Jones reprise their roles in spite of it. Well. Mostly. Tommy is replaced by his younger self, Josh Brolin, much of the time. His impersonation of Tommy Lee is freakishly uncanny. Maybe Tommy Lee Jones has secretly invented time travel and brought his younger self forward to co-star. Two paychecks. Booyah! Tommy Lee/Josh Brolin's Agent K must stop the repulsive Boris the Animal (Jemaine Clement) from going back in time and destroying the world in the future. Whatever. It sets up lots of action and jokes. Clement is criminally underused here, after his brilliant turn in the otherwise disappointing Gentlemen Broncos. Perhaps the director's cut will give him more screen time. As it is, the film focuses on Smith and Brolin's relationship. Michael Stuhlbarg's precognitive alien Griffin has some fun with time travel tropes.